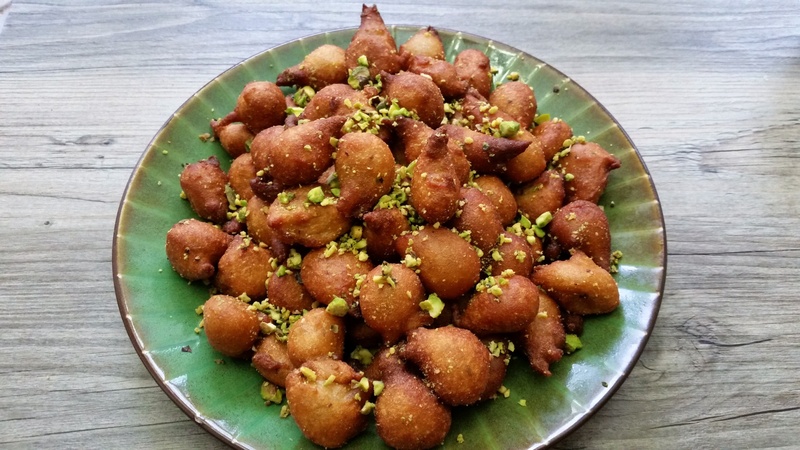 They are crunchy from outside with a light airy center and extremely addictive….kids find them irresistible….but adults can’t stay away either!! 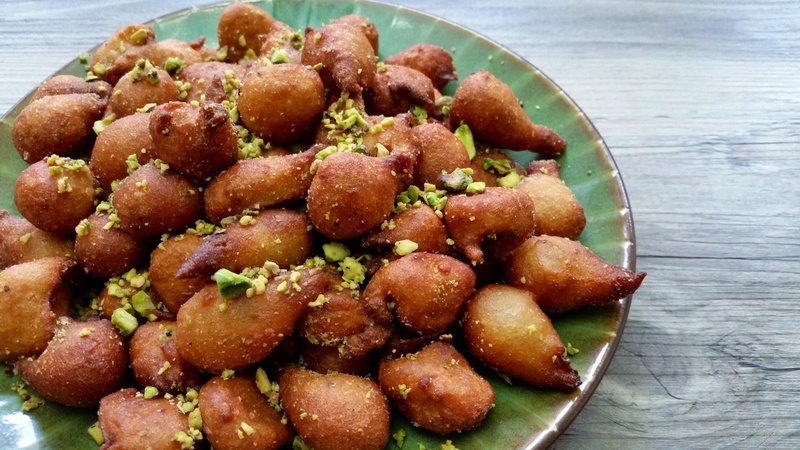 They are traditionally made as Prasad for Karvachauth, however my kids enjoyed them so much…I plan to make them again for the Ahoi Ashtmi Vrat where I will be fasting for the long life and good health of my kids! 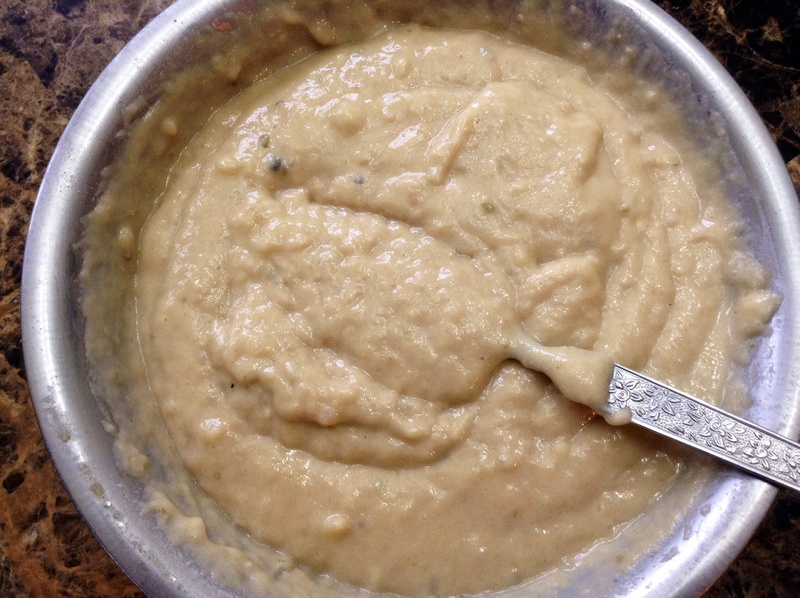 Make a thick batter using the above ingredients and water. Whip for 3-4 minutes. Cover with plastic wrap and keep aside for 20 minutes. After 20 minutes, uncover and whip again till frothy and light. 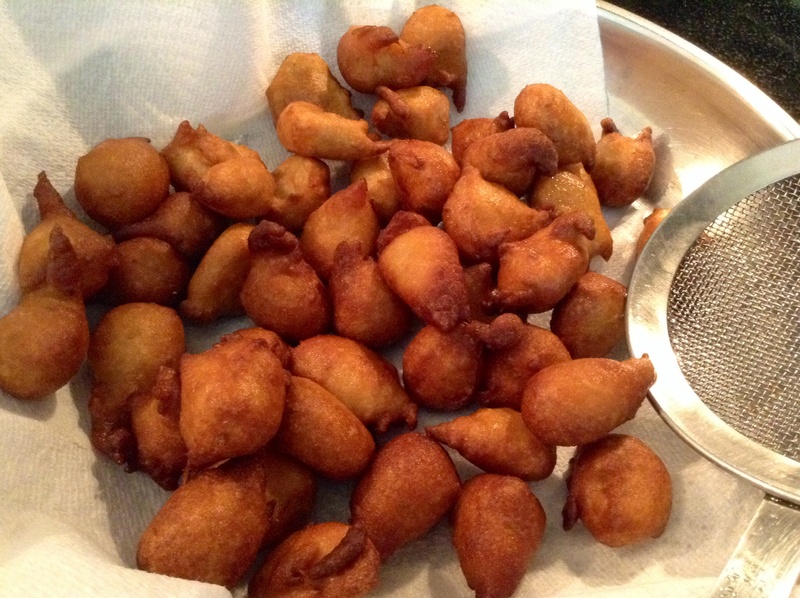 Heat oil in kadhai to medium high, drop small round drops of batter into oily using your fingers. 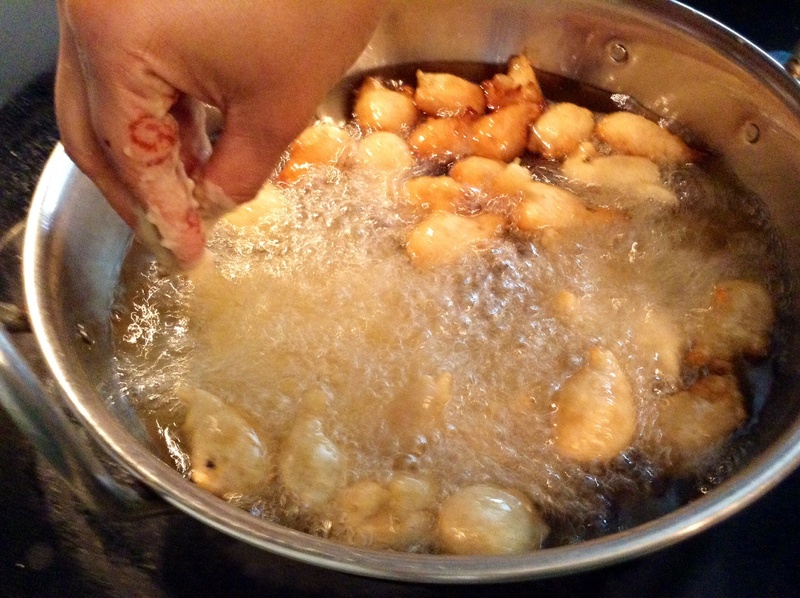 Fry till they become a rich golden but remember their color deepens once taken out of oil because of residual heat. 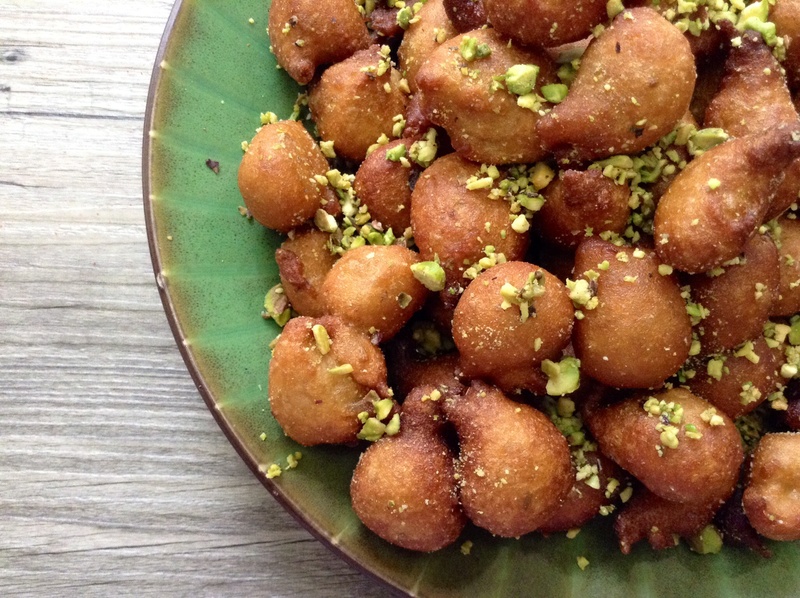 Drain on a paper towel and Sprinkle with roughly pounded pistachios or any other nuts that u like….enjoy! You can make these using only atta if you like. You can substitute sugar with gur. 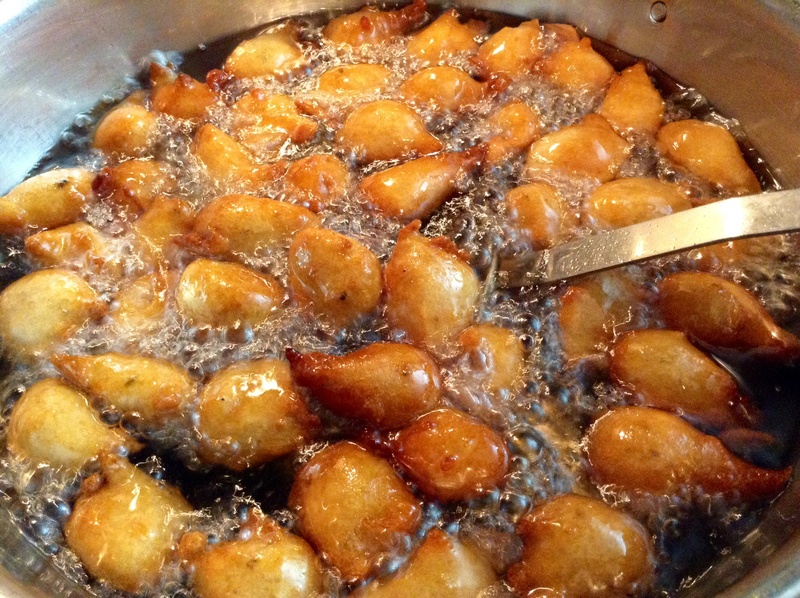 The use of 1 boiled mashed potato lends a light airy texture to the Gulgule. It’s important to rest the batter and whip it nicely so that the batter’s consistency becomes light and frothy. This prevents them from having a dense center! 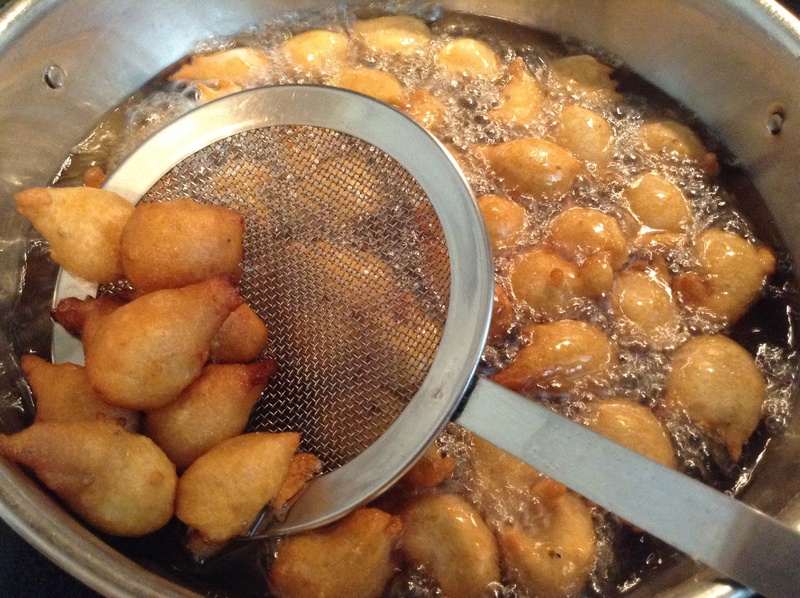 Also do not add soda to the batter…this makes the Gulgule extremely oily and non appetizing! What is the green stuff you have used? Pistachios are used as a garnish!